can help save you time and streamline your in-store processes. Most importantly they will give your drink shop or restaurant a professional appearance. The most popular Bubble Tea Machines are Cup Shakers, Cup Sealers, Automatic Fructose Dispensers and Tea Extractors. All of these machines are designed so that you can serve your customers the highest quality bubble tea possible while saving you time in the process. Picking the right bubble tea machine can be hard and there are a lot to choose from. There are also a lot of cheap knockoff machines on eBay and Amazon that are coming from China. Even though this boba equipment is cheaper, we don’t carry it because they are lower quality and usually end up breaking after a few months. We only work with best Taiwanese Manufacturers who make the highest quality and most reliable bubble tea machines on the planet. All of our equipment is also CE, UL or NSF Certified and has a Warranty. do all the hard work for you and make sure that you have a perfectly shaken drink. Bubble Tea got it’s name from the “bubbles” that were created from shaking hot tea with ice so you will either need to shake your tea by hand or use a shaker. Our shaker machines are designed to shake tea rapidly so that the hot tea dissolves the powders and mixes with ice to create a perfectly mixed drink. Shaking with a machine can save time, reduce employee costs and give your bubble tea shop a more professional appearance. Our most popular Boba Shaker is the Dasin SK300. This is a table top model that features 10 speeds with 5 custom settings. No installation required, just plug it in and it’s ready to go! The compact and stylish design also saves counter space. are a trademark of every bubble tea shop. Taking your fat straw and breaking the seal is as much a part of the experience as drinking the actual boba tea. 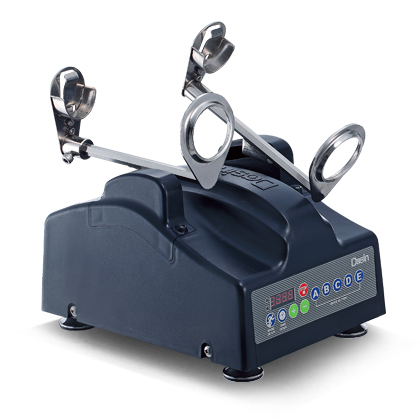 Cup Sealing Machines work by creating an airtight seal on whatever kind of cup or container that you use. One benefit of an automatic sealer machine is that you don’t have to waste any time manually sealing your cup. Just place your cup in the machine and the sealer will do the rest. These sealers are perfect for Bubble Tea, Coffee, Juice, Dips, To-Go Alcoholic Beverages, Gelato and more!. They also save money in the long run because plastic seals are much cheaper than traditional lids. One roll of sealer film can seal about 3,900 cups and a roll takes up very little space compared to a box of lids. The seals can also be customized with your logo to help you increase brand loyalty and recognition. We have sealing machines for any type of cup or container that you have and our sealers can seal PP, PET and Paper. They also come with CE or UL certification to ensure that you comply with the local regulations in your country. Our standard size sealer is 95mm (diameter) but we can also create 90mm, 98mm PET and 120mm Jumbo and custom sized rings for whatever containers you might have. are the best way to keep your drinks delicious and the quality consistent. Fructose is a type of sugar that comes from fruit and is a perfect way to sweeten your tea with out using HFCS (high fructose corn syrup). This machine is easy to program and has 24 buttons so you can have a different setting and sugar amount for every drink that you serve! When you use the automatic sugar dispenser, your customer will get the exact amount of sugar that they order every single time they come to your bubble tea shop. Consistent quality is one of the best ways to keep your customers coming back over and over again. Having a boba tea fructose dispenser will also cut down employee training and costs by simplifying your SOP. are an innovative way to serve bubble tea. The 3 in 1 tea blender, extractor and milk frother uses a regular tea bag to first extract your tea. Then you can either serve it hot or quickly blend it with ice. The finishing touch is using the milk frother to make milk foam for the top of your tea! are the perfect way to give your tea shop a professional appearance and state of the art drink shop technology. Our 1 year warranty and 3 years of video support will make sure that your machines keep working for a long time. All machines also come with free shipping and a free training video. We ship our Boba Tea Equipment directly from Taiwan to the US and other countries around the world. Shipping directly from Taiwan means you get genuine products at a lower price than most Bubble Tea Suppliers can offer. This is because we only need to ship our products once and don’t need to store them in a warehouse in your home country. Additionally, every Bubble Tea Machine comes with a 1 Year Warranty and 3 Years of Free Video Support. With regular maintenance this equipment will last for years. Most problems people encounter with them are simply solved by our support videos. We continue to support our customers after the sale and believe in building long term relationships with all of our customers. We have a 1 year warranty on all bubble tea machines. We also provide 3 years of video support to help you fix your equipment if you have any problems. Our sealer and fructose dispenser have a sophisticated PC Board built inside the machines that will alert you to any potential problems. Most of these problems have an easy fix and we can also send replacement parts with installation videos. Click here to learn how to fix your bubble tea machines. Where to buy bubble tea machines and how much do they cost? Some bubble tea suppliers sell cheap equipment at a low price. Most of these machines are usually inferior knockoff products from China that are low quality which helps them sell at a low price. All of our machines are 100% made in Taiwan and have a warranty and video support. Click here to order our best bubble tea machines for sale. All of our bubble tea machines will have either CE or UL Certification. CE will come standard and this is the most common type of Certificate issued and is used in Europe and accepted around the world. If you are in the US you may need to use UL Certified machines. This will depend on your local health department so please check with your health inspector before ordering.